Read the Rolls-Royce Ghost saloon (2010 - ) car review by Auto Trader's motoring experts, covering price, specification, running costs, practicality, safety and how it drives. The Rolls-Royce Ghost is an exceptional feat of engineering and a genuine pleasure to drive. Powerful and perfectly balanced, it’s the car every fat cat will want to drive home in from the boardroom. Interested in buying a Rolls-Royce Ghost? The Ghost was originally described as a “baby Rolls”, but it’s just 400mm shorter than the Phantom, has the same interior space as its bigger sibling and weighs in at 2,435kg – so it’s a rather big baby. Next to the Phantom, though, it seems a little smaller and sportier, thanks in part to a low-cut roof and subtle lines that prevent it from looking slab-sided. 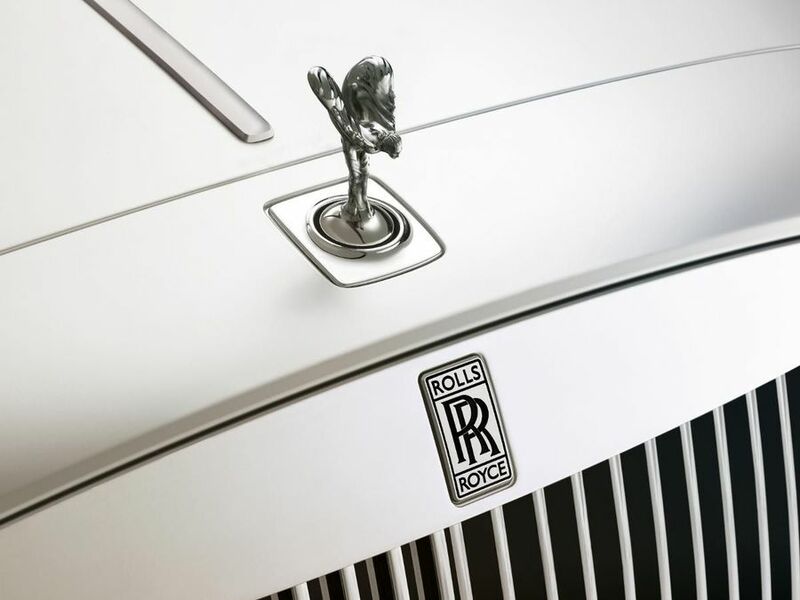 Inside, the Ghost lives up to Rolls-Royce’s reputation for luxury, albeit with a more contemporary twist. The interior designers have cited influences such as 1930s Art Deco and modern yachts for some of the touches in the cabin, which include beautiful wood veneers, chrome vents and quirkily cool organ stop-style plungers to control the flow of air. The back of the Ghost is as luxurious and spacious as you’d expect, with entry through rear-hinged coach doors that can be closed with the touch of a button. The rear occupants also have all the facilities a Roller passenger would demand, including the option of veneered picnic tables or 9.2-inch screens that fold out from the backs of the front seat. There’s also a feature called Theatre Configuration, which allows all settings that don’t directly affect the driver to be controlled from the rear seat. Rolls-Royce expects most owners to give the chauffeur the day off and sit behind the wheel themselves. And why wouldn’t they? This car really is a fantastic piece of engineering. Despite its size and weight – which you’re always conscious of as a driver – the Ghost feels incredibly agile. This agility comes from an air suspension system with variable damping that ensures stability on all surfaces and in all situations, combined with a host of electronic driver aids. Under the bonnet, a specially developed 6.6-litre V12 engine seems to be working effortlessly to generate an enormous 563bhp, so there’s never any shortage of power. This means the Ghost can complete a 0-60mph sprint in just 4.7 seconds, which places it in supercar territory and makes it quicker than a Porsche 911. Stamp on the throttle from a standing start and you discover that there’s effortless acceleration available, which is smooth and controlled. This progress is helped by a superb eight-speed gearbox, which seamlessly shifts to ensure there’s not a hint of lurching as the cogs change. The Ghost is going to be very expensive to run, although that’s unlikely to worry many potential owners. Expect 20.8mpg, if official figures are to be believed. Carbon dioxide emissions of 317g/km are high, but that’s to be expected of a V12. Under BMW’s stewardship Rolls-Royce has produced cars of high quality. There’s a four-year unlimited mileage warranty to fall back on if anything does go wrong. A host of electronic driver aids – Anti-Roll Stabilisation, Dynamic Brake Control and Dynamic Stability Control, including Dynamic Traction Control and Cornering Brake Control – are there to keep you on the straight and narrow. Plentiful airbags should protect driver and passenger if the worst happens. Among the highlights of a long list of luxury equipment is a multimedia system that will be familiar to anyone who has used BMW’s iDrive. All the usual infotainment functions are there, such as satellite navigation, radio, CD, MP3 and Bluetooth telephone, plus a 12.5GB hard drive that enables storage of music files from USB or CD. The audio system can also deliver 600 watts through a 10-channel amplifier and 16 speakers, including two floor-mounted subwoofers. The Ghost has been designed to be driven, rather than driven about in. It’s more driver-focused car than any previous Rolls-Royce.